We picked up the Blackcurrant flavour and the Passion fruit flavour from our local branch of Sainsburys. These are large 150g pots meant as a single generous serving. 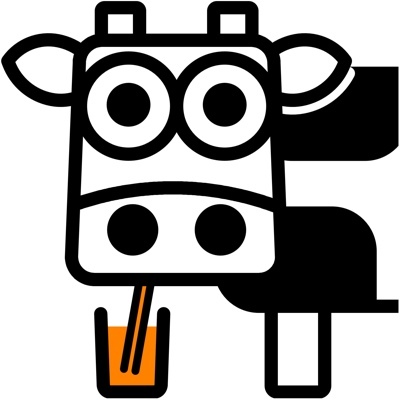 The 'Go On' branding positions these as a kind of health product, but they're not low fat or low sugar, but do offer that protein boost. We find the branding a bit odd, when these really are a dessert yoghurt. 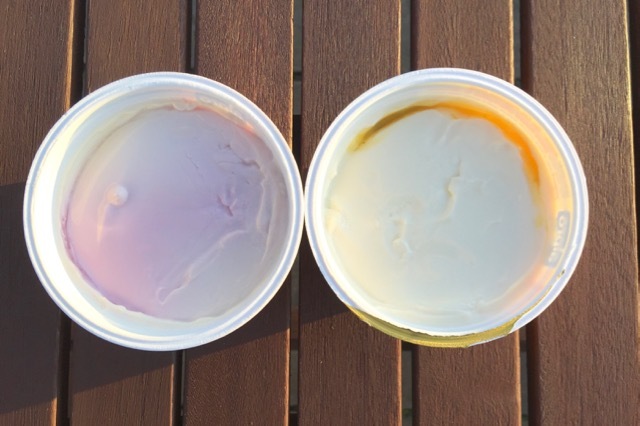 The pots contain a thick strained yoghurt top layer, on a fruity base layer. The yoghurt is thickened as well as being strained. The top layer is not plain as you would expect, but is sweetened and fruity already. 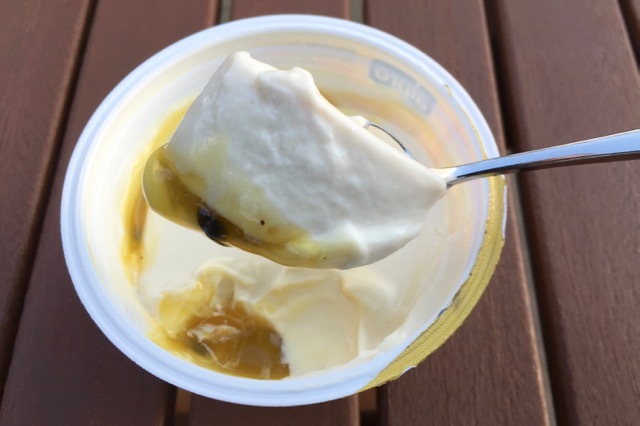 We find the texture to be too starchy and sticky, almost more like a cheesecake than a yoghurt. The fact that the top layer is already sweetened means the fruity layer makes the whole thing too sweet for our liking. The flavours are pleasant enough, with a tart (but sweet) blackcurrant, or a sweet tangy passion fruit option. They're super creamy and smooth, but as we say, they're a little claggy. 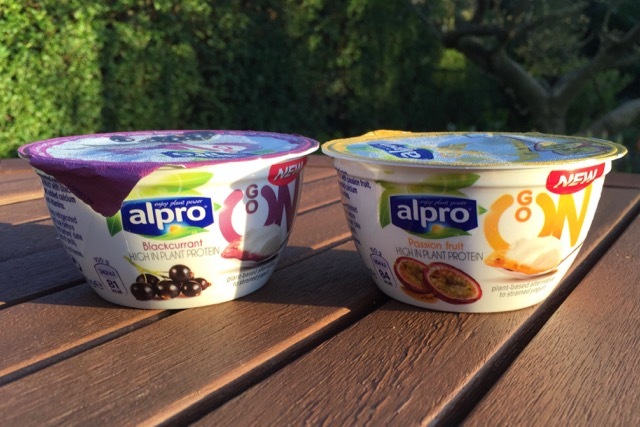 We don't think Alpro have got these yoghurts right. 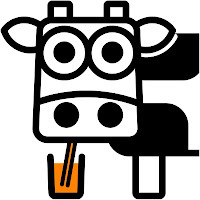 They're high in protein, but too sweet to be a health food. As a dessert they work fairly well, but that texture is just a little too starchy. 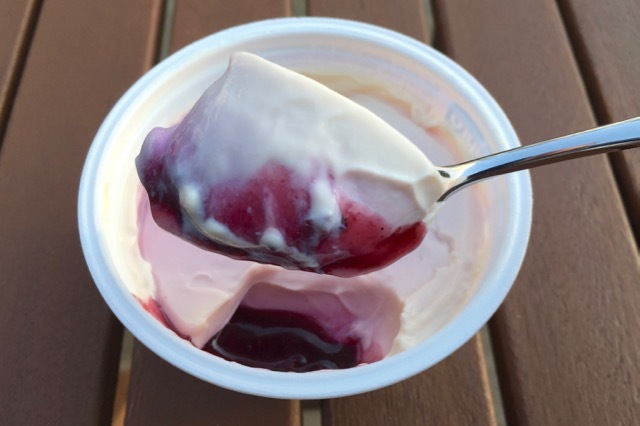 We'd much prefer a plain strained yoghurt, without the starch and sugar, on a fruity compote layer. I agree with everything you've said in this review. I tried both these two flavours and didn't like the topping or the bottom. I was really disappointed! I haven't tried the mango but I don't suppose it will be much better. Overall too sweet and not a very pleasant consistencey. I'd also like to see a plain thicker yohurt so people can add fruit or whatever they like to sweeten to their preference. Hmm, I'll probably try one of these if I spot them but I won't be going out of my way to search for them. I tried the Passion fruit flavour and was undecided as to whether I would buy it again. 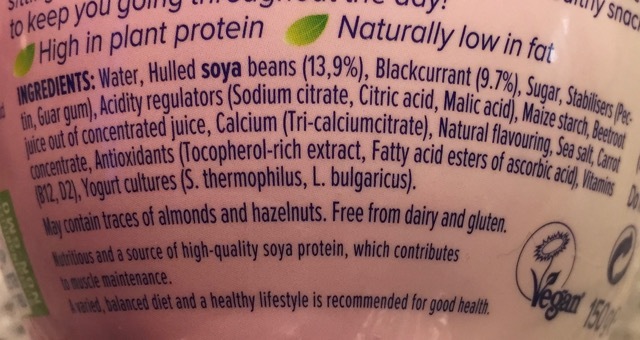 I have not previously tried a plant based alternative and I am rather fussy with yoghurts. I found this to be Fromage Frais like when mixed together. The Passion Fruit seeds took a bit of getting used to. I would like to try the other 2 flavours in order to decide whether I actually like it. Overall, I would give it a 3 star review. 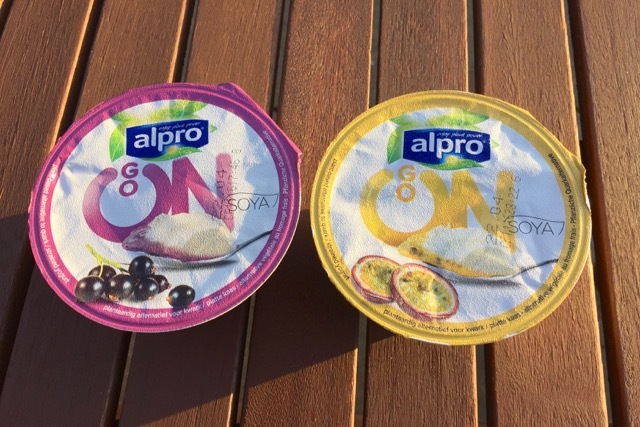 Actually, I thought these were not bad - if you want a higher protein hit, there are quark yoghurts with double the protein, but are rather cloying as a result. These are smooth as you say, which is a good benefit. Maybe too much sugar, yes - I would prefer to add my own honey to manage this.